The above conversations were actually in Mandarin. 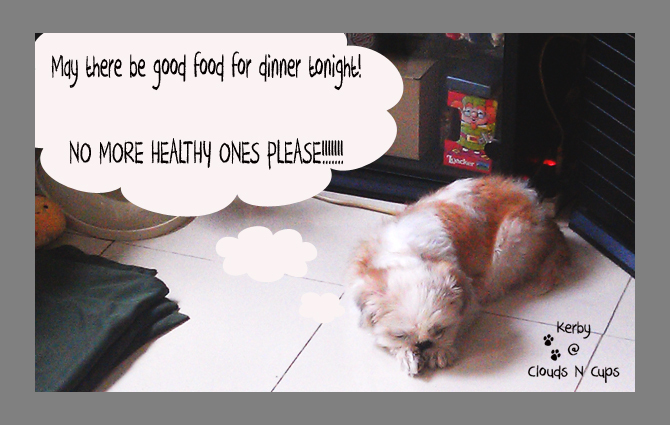 This is my way of expressing our happiness for having such a lovable baby sister. I do hope the humour within this tiny happiness of ours is able to reach out to all lovely souls out there! Have a great Wednesday ahead! It has been quite a while since I last updated this blog and our last post was actually a re-blog (which is worth sharing) on 18th Feb 2013. Well, just wanting to share with you lovely souls some events about our nail art decor, which is supposedly to be one of the intentions of this blog, but I guess we’ve been off the track a little…LOL…but never mind, I am still enjoying all these and I hope you do as well. 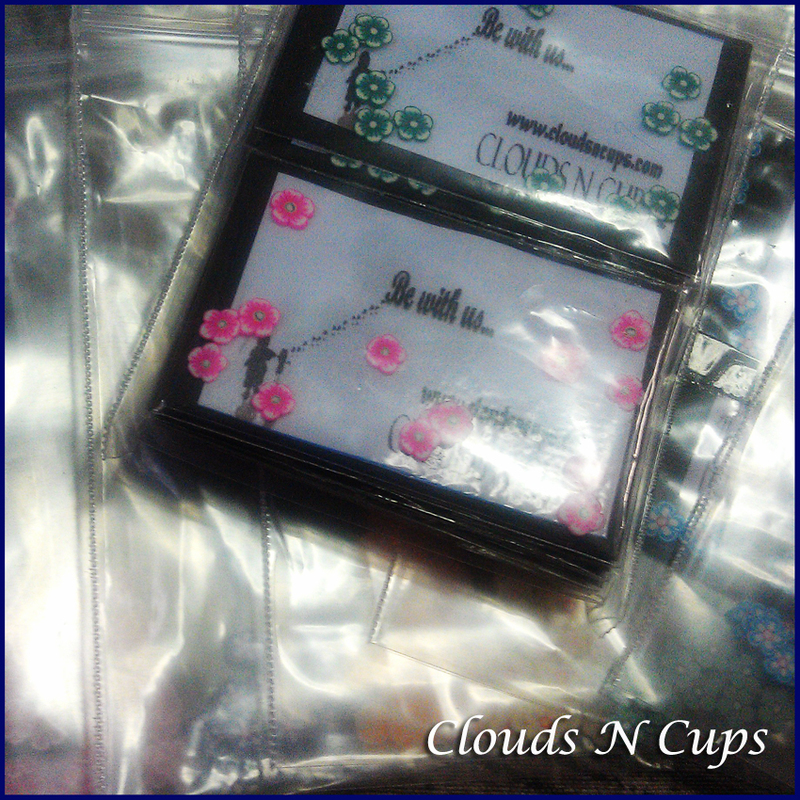 In January, we’ve received some orders from our online store which is listed in Qoo10.com.sg and we felt really excited when one lovely lady decided to try out our nail art decor instead of the Nail Patch. It is always nice to know that some people out there are willing to give us a chance in the midst of this competitive business. We are glad that the lovely soul is happy with our product and service. The comment that she has left us really gave us the motivation to want to continue in moving towards this direction for our nail art fimo/decor even though it means more works are needed to be done in the future. As we are in the midst of revamping all our jewelry accessories display photos (this would explain the drastically decrease in the products for our jewelry accessories section), we’ve decided to re-vamp our fimo/nail art decor display photo as well. 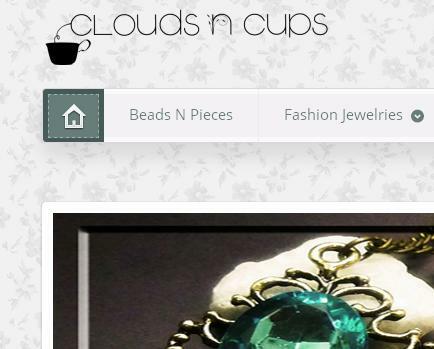 If you’re also following our other blog – Clouds N Cups, Share With Us – you should have already seen the new display format for our jewelry accessories. you may feel assured of you will be getting. Do pay us a visit at Clouds N Cups and let us have a chance to be at your service. Here are some quick updates for you lovely souls out there!! I’ve just added some information at our Give-away Indicator. If you have been following our blog, we did mention that we will only start a give-away event for both our blogs (i.e. 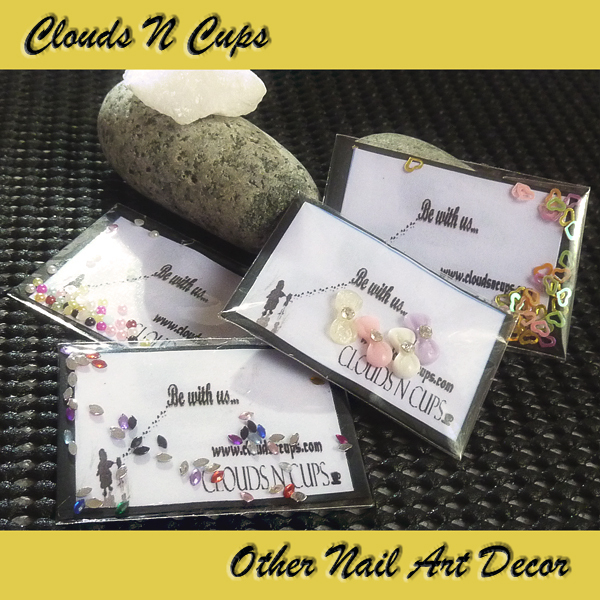 nail art decor for this blog and fashion accessory for the other blog) once the vote hit the first 100. So, do vote away if you are interested to participate in our future giveaway events. Please note that the all-year discount coupon is also applicable for our nail art decors. You can also help us with the coupon design, for more information, click the picture of our current coupon design to find out how. We are glad to be using a design sent to us by a lovely soul for the coupon on 27th January 2013, do keep a lookout for it. Okay, that is it for our latest quick update. Yes…only in my dreams that I can see myself travelling alone. The only time that I am travelling by myself would be going to school, to work or places which I need to be at for certain non-leisure purpose. So, when I see this photo and I really like the scenery. Everything is in the mind…. By the way, how’s life for you all lovely souls out there? We’ve included a Facebook Like Box at our side bars. Do give us a ‘Like’ if you really like what we’ve been doing in our blogs. Cute Twinkling Love Fimo Page included in our Fimo Collection. In the meantime, if you’ve yet to vote for a give-away event, kindly do so now because our target is to received 100 votes in order to start a give-away event and currently, it is still far…far…far…away from our goal. Have a great Tuesday ahead! For more details, please check out OUR PROMOTIONS page. I know I am supposed to upload our flower fimo collection during the last two days but I am sorry there might be some delay due to some ‘unforeseen circumstances’. Today, I’ve finally managed to sort out the 12 flower designs and hopefully I am able to upload them latest by tomorrow. In the meantime, I’ve noticed more votes coming in (Yippee!) at our giveaway indicator poll but still not enough to start a giveaway event. So have you already voted for your giveaway event? Just a gentle reminder for those who are preparing to glitter their nails with pretty fimo or other nail art decors during the festive season…starting from 23rd Nov till 26th Dec, you can enjoy a 15% discount from your total purchases and the discount will still apply even if you’ve taken the bulk quantity bargains of our feather cut fimo. For example, if you’ve made a purchase of 10 packets of fimo with a total of $5.50 instead of $6.00, you will only need to pay $4.68 for those 10 packets of fimo during the mentioned period!! Check out our promotion page for more details. Will add in 12 designs of flower design pre-cut fimo on either Monday or Tuesday, remember to lookout for them. Last but not least, have you voted for a give-away event? If no, hurry do so now. I am glad to finally see some numbers in our giveaway event poll but still not enough for me to start one giveaway event. So do keep the votes coming in and once it reaches 100, I will start the organizing. Have a great Sunday ahead! I wanted to do giveaway events, but I am not sure if anyone will be interested in them so I’ve decided to use a poll as an indication to know when to start a giveaway event. Check out our side bar and you will see one new poll section – CNC GIVEAWAY EVENT INDICATOR. We will organize a giveaway event whenever it hits a 100 ‘yes’ vote — when we received our 1st 100 ‘yes’ vote, we will start to organize a giveaway event and when it hits 200, we will organize another and so on. So, if you, especially our lovely followers, are interested in taking part in our future giveaway events, remember to spare a little of your precious time to take part in our poll. If you’ve just stumbled upon this humble site of ours, please do take part in our favourite fimo poll as well. Thank you in advance. Last but not least, the butterfly n dragonfly fimo page is up and you can check them out under our fimo collection page menu. All fimo designs are now available for sales and should you be interested in any of them, just click on the picture and you will be re-directed to our website. Remember to check out our bulk quantity purchase bargain – the more you buy, the less you pay. Hope to see you all at our humble little store. Woah~ Finally we’ve set the launching day and that’s today. Do spare some time to pay us a visit at our online store and if possible, drop us any feedback that might enable us to serve you all better. At the moment, there are 36 fimo designs sold in our stores, 12 fruits, 12 feather n leaf and 12 butterfly n dragonfly and I’ve added a new page for the feather n leaf collection in our blog today. We will add in the butterfly n dragonfly fimo page very soon. Till then, hope you enjoy our latest fimo collection page.